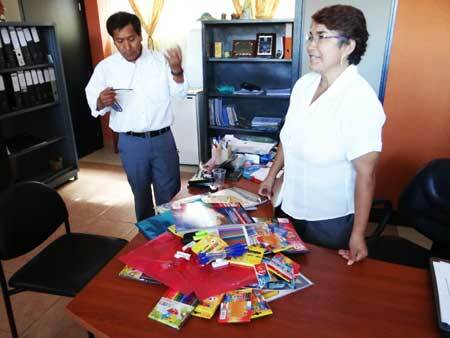 Ecoventura Yachts, located in Ecuador, have collected over 50 kilos in donated supplies which were then taken to the Alejandro Alvear School, as well as others, on San Cristobal Island this year. By giving back to the community through Pack for a Purpose, travelers helped all those receiving assistance at the school. The Alejandro Alvear School provides therapy for children with Down Syndrome, Cerebral Palsy, children with deafness, blindness, autism and learning disabilities. In the evenings, the school serves the adult population of the Island through programs such as teaching sign language for the hearing impaired.